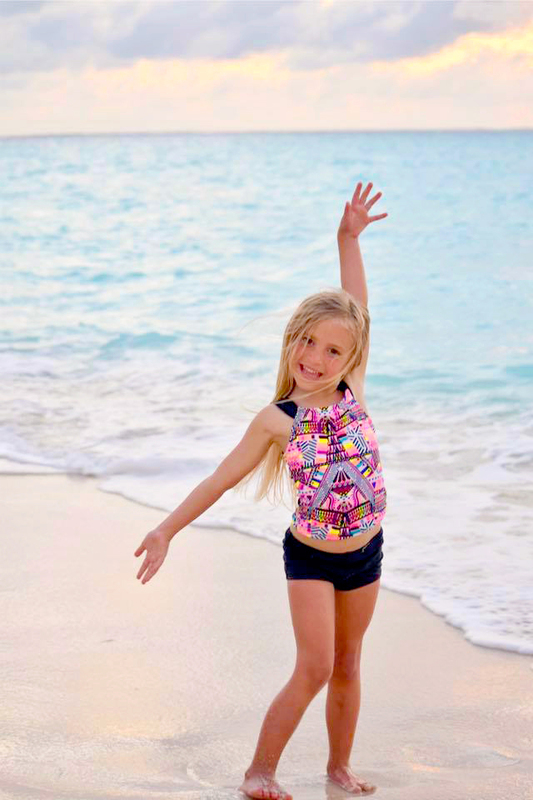 When the sun is shining and the temperatures rise, many families head to the beach. They go to enjoy a day of building sand castles, swimming and splashing in the water, flying a kite or throwing a Frisbee. What’s not to like, right? Well, if you don’t plan accordingly, a day at the beach can turn into a nightmare. When visiting your favorite beach destination, you need to be prepared for a successful outing. 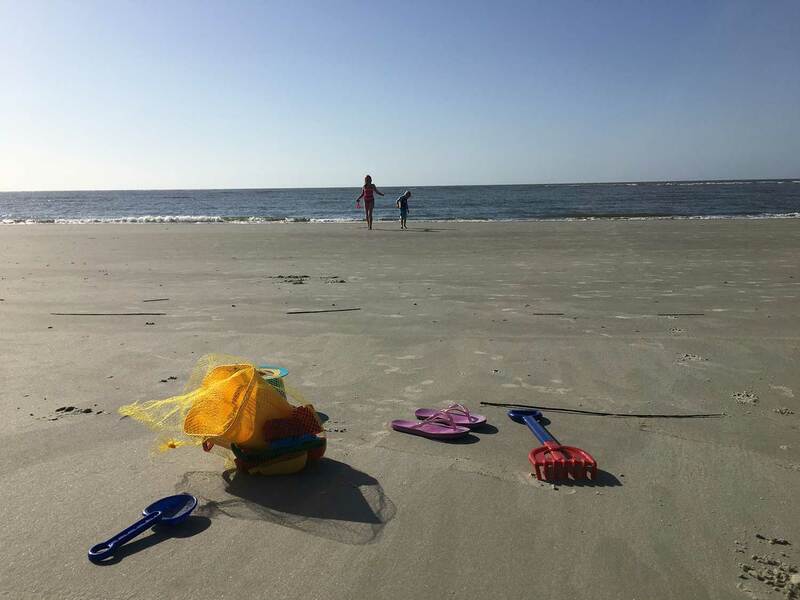 Our beach loving Traveling Moms have you covered with our list of over 50 things to pack for a day at the beach. You might think I am a little crazy to suggest that you need 50 items for a perfect day at the beach. Well, of course not, but when you are heading to the beach with kids, you can no longer just pop on flip-flops, grab a beach towel and some sunscreen and go. 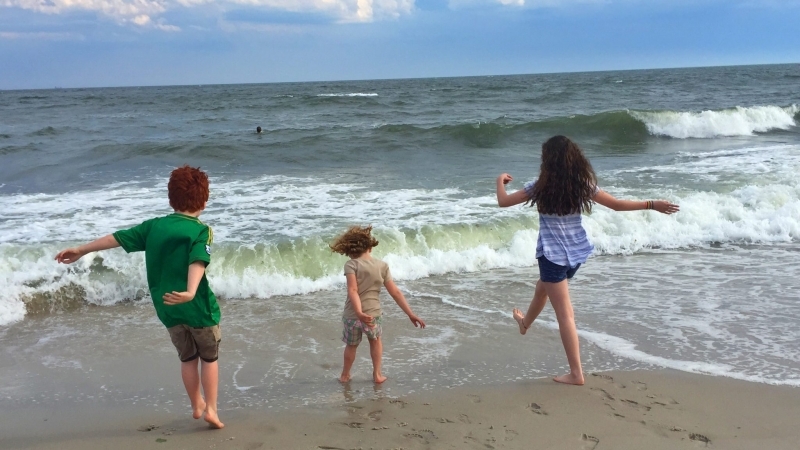 A beach trip with kids is a completely different situation. 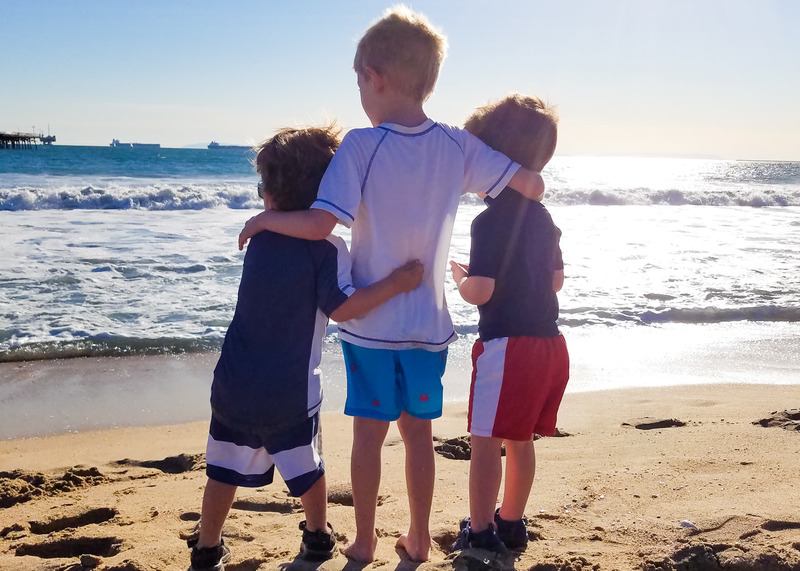 Through trial and error, our Traveling Moms helped me come up with this comprehensive list for a day at the beach. 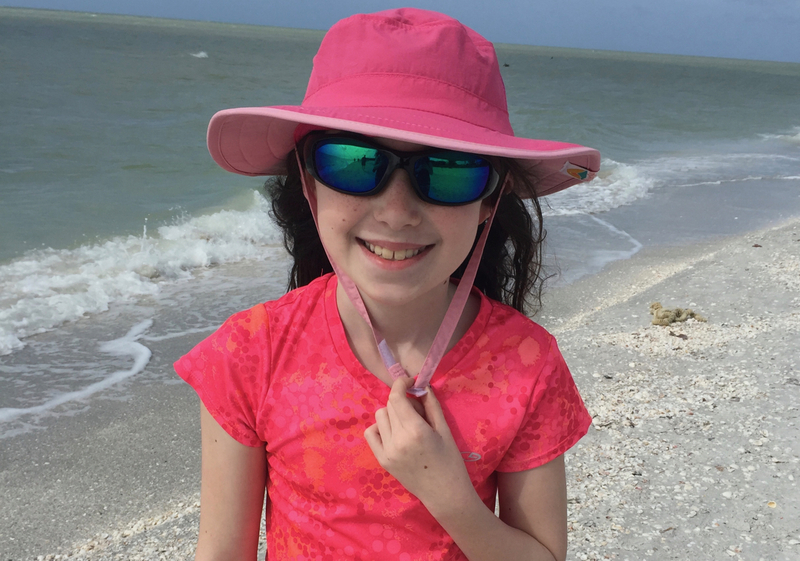 Taking a day trip to the beach is VERY different than going on a beach vacation. You have the freedom to bring much more, depending on what will fit in your car, of course. We’ve come up with a fairly comprehensive list to help you plan your next beach trip. We’ve even made up this printable checklist to help you avoid forgetting anything at home. Here is a handy printable to help you remember everything you want to take for your beach day. Other than your wallet and keys, which we noted in our checklist below, these are the essential items you should always have at the beach. Besides sunscreen, it’s good to be prepared for other small ailments and injuries. You should always keep a kit in your car and take a small one for when you travel. Keep in mind that most first aid kits will need to be in checked baggage if they contain sharp items like scissors. Once, my son fell on a piece of glass and we were so lucky to have our kit to wrap him up until we could get to the emergency room. Most beaches have bugs. Protect yourself and your kids from biting flies. sand fleas, mosquitos, and ticks. Some products combine bug repellent and sunscreen in one. Bring more than you think you’ll need. We like to have a small towel just for drying off and not laying in the sand. A quick dry towel works well. You can never have too many snacks at the beach. Kids run around a ton so they work up an appetite. Bite size snacks in ziplock bags work well. If you decide to pack sandwiches, cut them into quarters. This way if one piece falls, there is still plenty left. Save money and keep the kids away from sugary snack bar drinks by bringing your own water bottles. Fill with mostly ice so as it melts, the water stays colder longer. You’ll need something to carry it all. Lightweight daypacks work well. We like to have at least one with a built-in cooler section to keep fruit fresh and drinks cold. These are so easy to pack and solve a lot of beach day challenges. Keep dry clothes dry and wet/sandy clothes away from everything else at the end of your day. They are useful or transporting swim diapers, snacks, sunscreen and much more. What to wear to the beach may seem like a no-brainer, but having a checklist always comes in handy. We recommend these 6 key items. While this is a list of what many people bring to the beach, I think most electronics (except maybe a cell phone) should be left at home. There is no need to worry about electronics that could get sandy, broken or even stolen. Wallet – or essentials like license, insurance card, credit card and cash in a ziplock bag. Medications – epi pens, inhalers, etc. When you want a more “luxurious” day at the beach, these are the additional comfort items you’ll want to bring (depending on what can fit in your car, of course). Collapsible utility wagon – these are the absolute best way to get all of your stuff to the beach from your car without breaking your back. 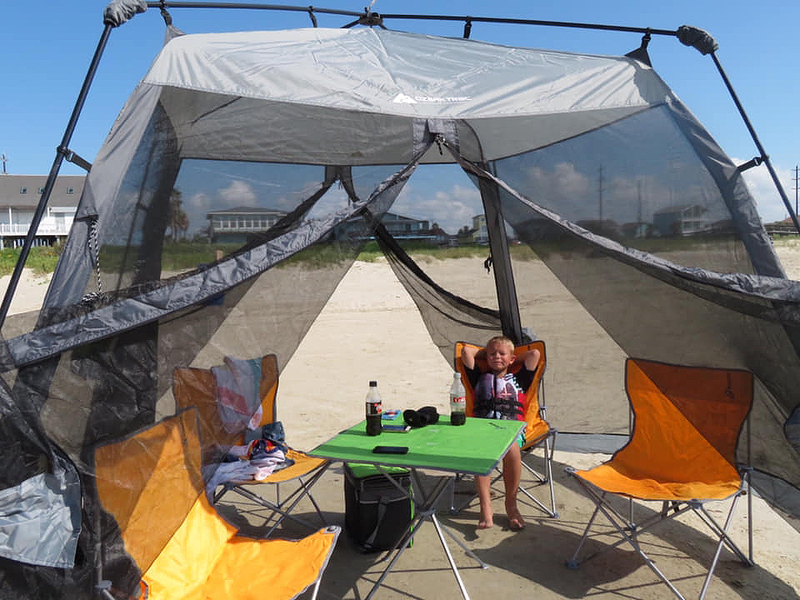 Experienced beachgoer and Traveling Mom, Kathy Penney loves this beach tent. It’s even got screens to keep the bugs away. Not all beach blankets are created equal. We recommend those with called “sand proof.” These blankets easily shake off the sand and typically come with tent stakes and/or corner pockets so you can weigh them down. Nothing worse than a beach blanket that blows away. Want to save space and money? Skip the toys and use what’s at the beach. 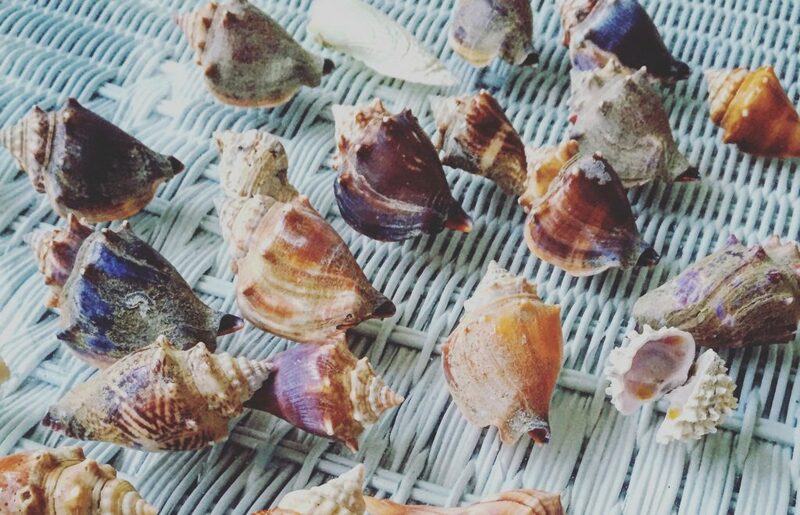 Make sandcastles by hand, create seashell art, play wave tag, etc. Let your imagination come up with unique ways to play without all the extra stuff. A mesh laundry bag is great for holding beach toys, water shoes, etc., The sand will fall out and less of it will end up in the trunk of your car. Consider bringing a full-size bucket and shovel, not just kids toys. This helps dig holes for umbrella stands and fire pits. Leftover sand can be used to keep beach tents and blankets in place. My recommendation is to leave the electronics at home, or at least in the car, and keep the family “unplugged” for the day. After all, it’s meant to be a family day. This way, you don’t need to worry about getting tablets or cell phones sandy or broken. Have a successful beach day! This may seem like a lot of stuff to take with you, but you’ll be glad you came prepared. This is will not only serve you well at the beach but a day at the lake, park or anywhere there is dirt, sun, and water. Heading on a beach vacation? 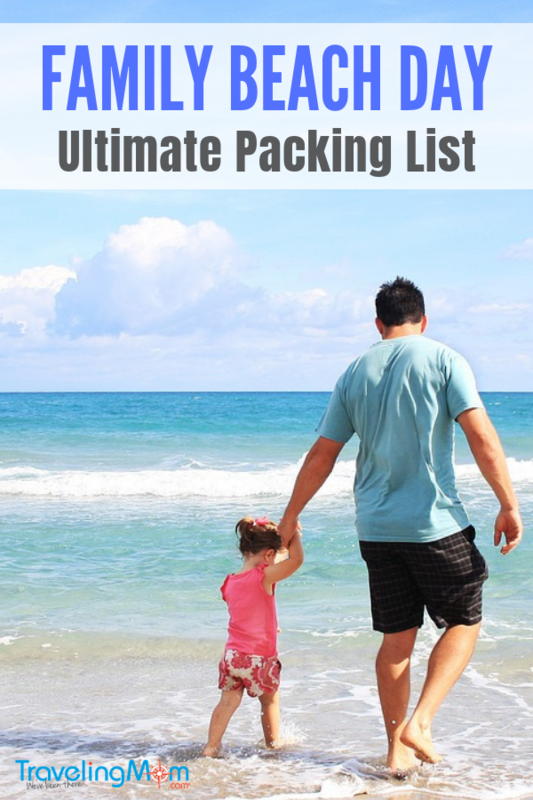 Check out this post: The Ultimate Family Beach Vacation Packing List. 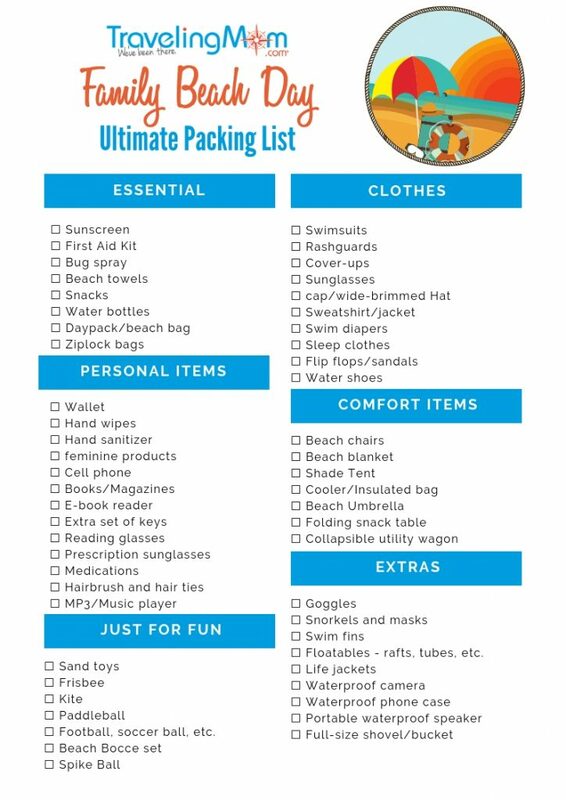 For a general family vacation, check out The Ultimate Packing List for Family Travelers. What do you pack for a day at the beach? Did we forget anything? Previous Post: « Will Young Kids Enjoy Dolphin Cove Jamaica? Great post. You are right. When you do something with kids (or pets), we have more prepping. I’m a dog mom and my dog has more gear than I do! That is a lovely beach. Yes, plenty of water. I grew up five minutes from the beach (though this was on the west coast!) and was there fairly often. These are great suggestions on what to bring! Every one of these items is crucial! I am always so much hungrier at the beach so extra snacks are key! So many great items! I think you always need a little bit of cash at the beach. The parking garage we went to one time only took cash. This is a great list and you’ve pretty much covered everything. I guess I would add some emergency medicines in the first aid kit. Pain relievers, allergy medication, Imodium. Oooo great list here! We love hitting up the beach when the weather permits. I don’t think you missed anything on the list. Sunscreen is a must. I cannot tell you what a disaster it has been anytime we have forgotten sunscreen and ended up at the beach. This looks so fun! I haven’t been to a beach since 2005. Well I’m a single farther of 2 Im I the UK and its my first ever time I’ve taken my 2 kids alone lol This list has just helped many thanks also a beach tent s a must myself and my burn so easy.